Prince Albert II whose full name is Albert Alexandre Louis Pierre Grimaldi is the Principality of Monaco’s monarch. He is the head of Princely House of Grimaldi. He is considered to be one the wealthiest Princes in the world and his assets are said to value at $ 1 Billion. The Social Network movie had story about Prince Albert II’s life and the role was played by James Shanklin. 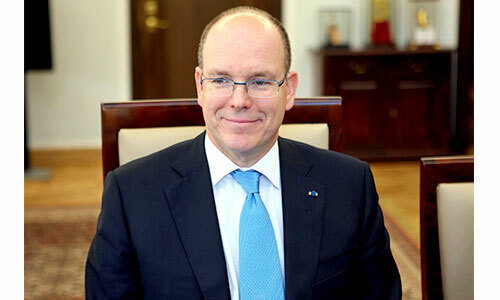 Prince Albert II was the son of Grace Kelly and Rainier III – Prince of Monaco. His father was the ruler of Principality of Monaco. He ruled for almost 56 years. His mother Grace Kelly was an American actress but later become the princess of Monaco. Caroline – Princess of Hanover was one of his sisters. She was the elder sister and is the princess of Hanover. She is now married to Ernst August who is the Prince of Hanover. Princess Stéphanie of Monaco is the younger sister of Prince Albert II. She is the Prince of Monaco, singer and actress. She got married twice. First to Daniel Ducruet and later to Adans Lopez Peres but divorced both of them and is single now. Prince Albert II got married to Charlene Wittstock in the year 2011. She was a former Olympic swimmer. After she got married Prince Albert II she is now the princess of Monaco. The couple is still married and have two children who are not biological. Jazmin Grace Grimaldi is the daughter of Prince Albert II and Tamara Rotolo. Tamara Rotolo never married Prince Albert II but had an affair with him. Prince Albert II met her at the time of three week vacation in French in the year 1991. As a result of their relationship, Jazmin Grace Grimaldi was born. Alexandre Coste is the son of Prince Albert II and Nicole Coste. He is also a illegitimate child just like his sister Jazmin Grace Grimaldi. Nicole Coste belonged to Togo. Prince Albert II’s net worth is $ 1 Billion. The royal personality owns few lands in France and Monica that include the lands of Monaco’s entertainment and casino properties. Prince Albert II’s face was also depicted on coins as he was the head of Monaco State. In the year 1996, he was given the Eagle Award by United States Sports Academy.